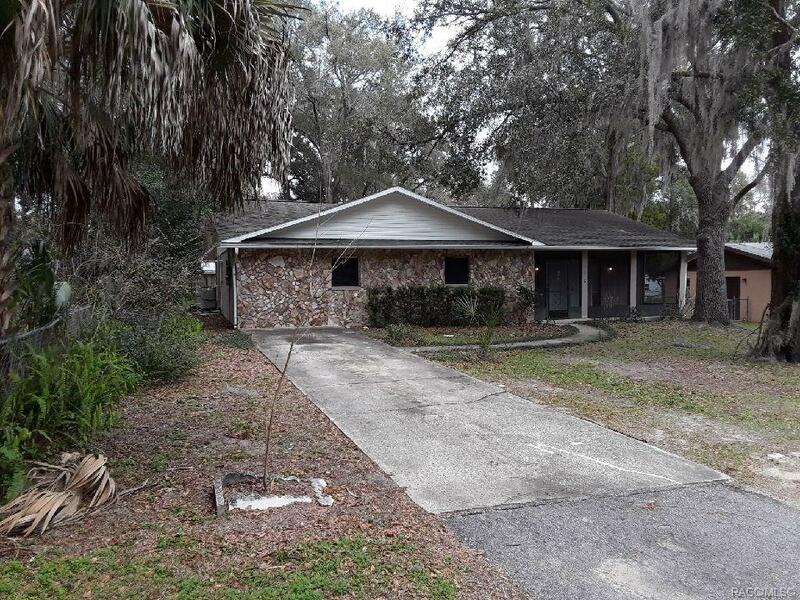 NICE 3 BEDROOM, 2 BATHROOM HOME IN CRYSTAL RIVER!! Conveniently located close to shopping, restaurants, and highway access. This MOVE IN READY HOME was updated 1 year ago with NEW PAINT, NEW FLOORING, and NEW APPLIANCES!! Great layout with beautiful stone fireplace and screened porch! This is NOT a short sale or a bank owned property. This is a GREAT HOME that is PRICED TO SELL!! Come see it TODAY!! Directions: Hwy 44 To West On N. Dunkenfield Ave. Right On W. Crestview Ln. House On Right.